Hyundai has some of the best cars in the small car and the sedan segment, but even with them it still lags in the MUV and the SUV, which currently is in great demand. But, Hyundai seems to have realized this. Recently a compact SUV which seemed to be a Hyundai was seen testing in South Korea. The compact SUV is expected to be launched in 2014 and will be followed by the MUV model in 2015. 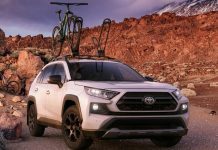 Since the compact SUV spotted was in camouflage the exact design details are not known. 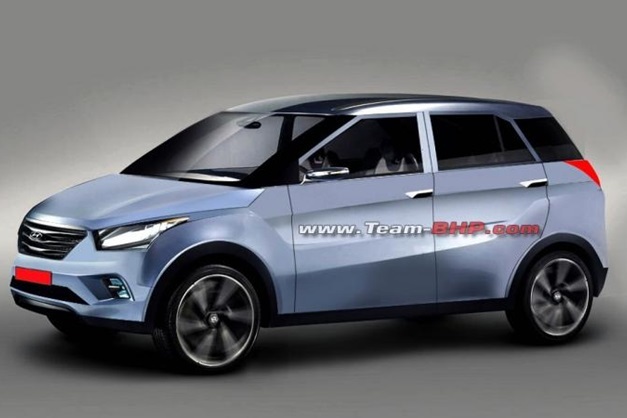 But to give us an idea of how the compact SUV may look like Team BHP’s render artist Antler-Road has created two rendered images of the compact SUV. In one of the images the side of rear appears to be curvy wherein the other appears to be flat (see below) . 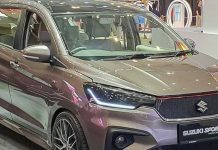 It is also speculated that the compact SUV and the MUV will share a common platform, and will be available in petrol and diesel option based on the Storm Edge design concept. Just like other Hyundai cars these will also be launched globally including India. Currently the compact SUV and MUV segment is heated up and with Ford EcoSport, Duster and the Ertiga.